Professional networking site LinkedIn has just officially denied charges that it hacks the email accounts of its users as a way to expand its network. In a corporate blog post published earlier today, Blake Lawit, an internal company lawyer whose title is Senior Director for Litigation, said that accusations made in a lawsuit filed Friday that it hijacks the email accounts of its users without their consent are not true. “We do not access your email account without your permission. Claims that we hack or break into members’ accounts are false,” Lawit wrote. The lawsuit, brought by a handful of LinkedIn users who are seeking class action status, accuses the company of essentially impersonating its users for the purpose of obtaining access to their email contacts, and then pushing endorsement emails to those contacts. The lawsuit was filed Friday in the U.S. District Court for Northern California. If you’re just getting up to speed on this lawsuit, you may want to read my earlier post on it, which includes the full 46-page legal complaint. 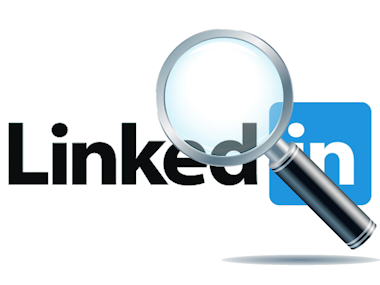 As you may have read recently, a class action lawsuit was filed against LinkedIn last week. The lawsuit alleges that we “break into” the email accounts of our members who choose to upload their email address books to LinkedIn. Quite simply, this is not true, and with so much misinformation out there, we wanted to clear up a few things for our members. We do give you the choice to share your email contacts, so you can connect on LinkedIn with other professionals that you know and trust. We will continue to do everything we can to make our communications about how to do this as clear as possible. As we’ve said before, our core value at LinkedIn is Members First. This guides all the decisions that we make when it comes to our members, including how we communicate with them and how we use their data. That’s why we felt we needed to explain we believe that the claims in this lawsuit are without merit, and we wanted to correct the false accusations and misleading headlines.